We learn much from books, but we learn more from our peers. Photography is a discipline best enjoyed with friends, peers, colleagues or acquaintances who feel a similar passion for photography as we do. On this occasion, I want to express my deepest opinion on this beautiful insight. In a country where the academic offerings for photography are quite scarce, photographers must find ways to nurture our knowledge and passion to improve on what we like to do most: take meaningful photographs. For a mere three years, I have been a member of the oldest photography club in my country, which is celebrating 40 years of existence this year. Together we have been able to evolve as photographers, and we have had the great opportunity to share, without any bad feelings or jealousy, the scraps of knowledge we have acquired over the years. Each of us enjoys developing his or her craft in particular niches, and this opens the door to a continually growing world of knowledge. Buy photo books, especially ones that feature the work of the great photographers. And it is the second tip I want to talk to you about today – and I will start by sharing the work of the person I’ll be referring to now. Here you can see the most recent work of my friend Eduardo Vázquez, from whom I have learned a lot in the past three years. Human nature drives us to think that the "grass is always greener on the other side of the fence". And I can say with a great pride and joy that I love my country, despite the poor image we may have globally. With Eduardo, I learned not only to see the many wonders of this region, but also to walk without fear in the streets of my country. The most important lesson I learned from Eduardo is that my own land has a lot to offer for someone with a passion for photography. And the most solid proof of this fact is that a foreign person can slap us in the face with images that we ourselves as locals should have made. Eduardo and his wife Myriam are living the dream of many, which of course is being able to travel a lot. Thanks to Myriam’s work, today they must move to Ghana, but not without leaving behind a great emptiness in our club. I hope these few words can do justice to the friendship we have cultivated in these short few years. Below are some commemorative reflections on the week of your departure from El Salvador to Ghana. In these three years I quickly saw how a photographer could evolve and even experiment with many types of photography during his career. When I met Eduardo, his work was quite random and diverse and could be considered to be the product of a traveler with an avid eye for capturing images, especially when they focused on ethnographies foreign to his own. To summarize a little, I saw his experimentation in wildlife photography, and even his small flirtations with pinhole cameras. It was impressive to see in someone who had not had formal training in photography (because he was a policeman in Spain). With Eduardo I was able to discover, not only in videos or books, but also in person, his great master and hero, Jose Maria Mellado. We all have masters, and my selection of heroes and masters is generous: Walter Benjamin, Roland Barthes, Susan Sontag, John Szarkowski, Michael Freeman and of course, the one and only Ted Forbes. But for Eduardo, it was Mellado. The important thing here is that I could observe from a distance the happiness that a true photography enthusiast feels when he meets his teacher. This experience was undoubtedly very important in the life of Eduardo. He was like a small child when talking to Mellado. Indeed, he was beyond excited to meet his superhero. Despite his somewhat stubborn personality (I told him that many times to his face), he acknowledged in his two farewells to the club the great learning he had gained from our small country and its passionate photographers, most of whom are not professionals per se. He learned much from us – and without realizing it, he taught us a great lesson, too: that we must all see with foreign eyes the earth that gave birth to us. Many times we may feel a bit out of place for not having studied photography in school, and, as I mentioned, Eduardo is not a professional photographer. He served his community as a police officer in Spain, but his genuine passion transformed him into a truly great photographer. I hope that at some point in my life – I am only 27 years old, so I hope I still have enough time – that our paths will cross again. I'm sure you won’t be returning to El Salvador, but maybe we'll meet again in another country. Without a doubt, we'll just talk about photography and culture. I wish you both the best of luck, and the best of light, too. Thank you for sharing so much time with us, and thank you as well for all the books you gave us. India is a land filled with diversity, and one day I hope to visit it. Any photograph I see from India arouses immense curiosity in me. I can only delight in photographs of the country. I separate the images into two large categories: ones from travelers, and ones from native photographers. Here I want to focus on the locals, the photographers of India who manage to capture their ancestral traditions, their artistic heritage, their magnificent landscapes and of course, their culinary culture. The first time I saw the work of Raghu was a year ago, while I was surfing through the Magnum photo archive. He was born in a village called "Jhhang", which is no longer part of India, but of Pakistan. 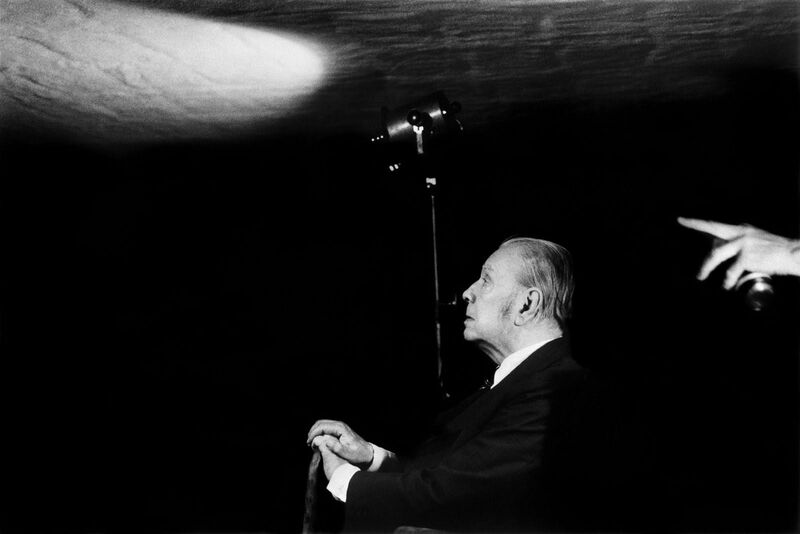 It was the man, the legend, Henri Cartier-Bresson himself, who nominated Raghu to join the famous photography agency. The work of Raghu Rai has been characterized by focusing on coverage of India. He has produced more than 18 books, including Raghu Rai’s Delhi, The Sikhs, Calcutta, Khajuraho, Taj Mahal, Tibet in Exile, India, and Mother Teresa. He has developed long-term projects, like one that documents the chemical disaster at Bhopal in 1984 and its ongoing effects on the victims. He has served three times as a juror for the World Press Photo contest and twice for UNESCO's International Photo Contest. He lives in Delhi with his family and continues to be an associate of Magnum Photos. He was born in October 1981 in Chinsurah, a small town in West Bengal, and grew up dwelling among different things and dreams. He is today a photographer and has a Masters degree in Economics, a not-so-strange combination indeed (because this other guy possesses exactly the same combination). He is currently the coordinator of the Anjali House children’s photography workshop, which takes place during the Angkor Photo Festival every year. He has focused on documenting the harsh reality of India's displaced rural communities as they struggle to survive. You can see more of Sohrab’s work here. He is an award-winning independent photographer and photojournalist based in New Delhi. He has been involved not only with photography, but also with photography education. He has conducted several workshops and is the manager of MediaWeb, a software company specialising in photo database solutions and server-based digital archiving systems. For many years, he financed his projects by working as a still photographer. Nowadays his career has become solid, perhaps after completing several news-related pieces in the 1970s and 1980s. 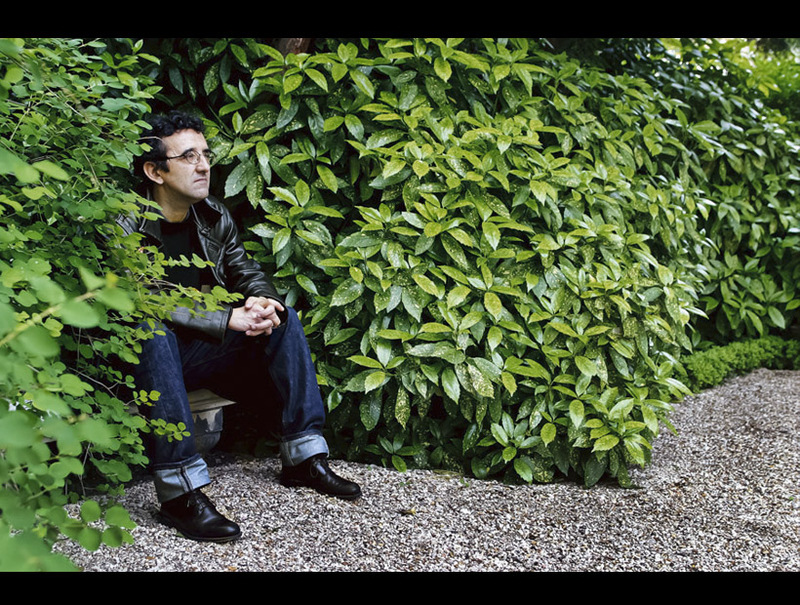 He has photographed societies in conflict and transition. 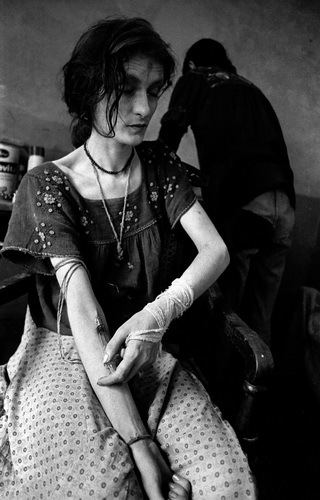 He did a work on morphine addicts, and this particular photograph makes me nervous – but every time I see it, I keep myself together and contemplate it as the great work of photography it is. You can see his work here, but I must tell you, it is hard to view. The first time I saw Mahesh's work was in 2013, when this magnificent portrait was awarded 1st place in the 1x.com awards. His work is best known for its evocative use of color. In one simple yet elegant sentence, I can state that Mahesh retains the essence of humanity in his photographs. The award-winning image was this one, and you can see more of his work here. Saravanan is a software professional with an amazing eye for photography, which happens to be his major passion. He expresses his own feelings for his people and land. He has been taking photographs for about five years now, and the viewfinder has helped open his eyes towards his own people. Photography trained him to interact with people easily. Thanks to this, he started travelling around India in the search of more experiences in his homeland. Prabuddhah Dashupta was a fashion and fine art photographer, perhaps the only one in this niche from our list today. He passed away in 2012. His black and white imagery became iconic, and he had a long career as a fashion photographer. His father was the curator of the National Gallery of Modern Art in Delhi, so he grew up surrounded by art. He was trained as a historian and started his career as a copywriter for an advertising agency. But he slowly became passionate about photography. Dayanita is a photographer working in a peculiar niche – the editorial one. She has a formal education in Visual Communication, and also in Documentary Photography from the prestigious International Center of Photography in New York City, which is directed by Cornell Capa (yup, Robert Capa had a brother). Dayanita has published 12 books. Her art reflects the ways in which people relate to photography, and her most recent works have focused on mobile museums that allow her images to be endlessly edited, sequenced, archived and displayed. You can see more of her poetic and narrative work here. He was a photographer largely known for his landscapes and documentary photographs of the Indian people. He was a true pioneer in his country for practically reinventing the use of color photography during a time when it was heavily frowned upon in the fine art world. He has published 14 successful photo books, and you can see more of his work on his official website. The grass is always greener on the other side of the fence, but for Indian photographers, I'm sure it’s not always true. For proof, just look at the magnificent work they’re doing inside their own borders. We hope you have enjoyed this post, and encourage you to share with us other photographers you know or follow who come from this magnificent and mysterious country. In some ways, societies generate a kind of unique identity thanks to their culture and other anthropological elements. I think this gives photographers from each country a common sensibility that makes their images somehow related and easy to identify. Photographers can have extremely varied and diverse styles, but my hypothesis is that they reflect more or less the same “cultural identity", almost in the same way that people in general can respond their whole life to the same passion. Some days ago, I put special emphasis on Mexican photographers, and this time I want to focus on Argentinian photographers. I hope you like them. Personally, I feel a deep fascination with the work of Daniel Mordzinski. His work is a solid example for all those who have felt the existential worry of pursuing not just a style, but a specific style within a photographic niche. Daniel specializes in only one type of people – writers – and he portrays them like no one else. He has portrayed Hispanic American authors for more than three decades. One of the masters of "Environmental Portrait" is without a doubt Arnold Newman, but he worked with different types of people, from theater critics to fluorescent lighting professionals, from Woody Allen to Francisco Franco. That is why Mordzinski’s titanic effort is far more impressive to me, because his level of specialization is so high that he really sets the bar for every photographer out there. Most of his images capture the essence of writers as we imagine them, allowing us to enter into the intimacy of their creative spaces and ideas. To some extent, Daniel is an ambassador for literature lovers who enables us to approach our literary heroes and idols. I wanted to discuss Daniel's work first because I find it fascinating how he portrayed many of my literary heroes, people like Roberto Bolaño and Jorge Luis Borges. In the middle of May this year, the Museum of Art in my country had the fortune of receiving a sample of more than 200 photographs taken by Daniel, all of them depicting Hispanic authors. I was mesmerized while wandering in the midst of so many of my heroes, along with a vast number of other writers who were unknown to me. That's the magic I felt when I saw these pictures, and it’s been something I wanted to share with you ever since. You can see a lot of Daniel’s images here. Rodrigo Abd is an Associated Press photographer who was part of a team that won the prestigious Pulitzer Prize in 2013 for their coverage of the Syrian Civil War. His began as a staff photographer at La Razón and La Nación newspapers in Buenos Aires, Argentina, from 1999 to 2003. In 2003, he became a staff photographer for the Associated Press in Guatemala, with the exception of 2006, when he was based in Kabul, Afghanistan. He has always been recognized for the passionate way in which he portrays subjects that are too scabrous and harsh for many photographers. Honestly, his images are strong, but they have a rather intriguing aesthetic, despite being related to moments as raw as death itself. A curious fact about Rodrigo is that he has shot several images with a 19th-century wooden camera he acquired in Afghanistan. I mention this because it shows us not only his skill, but also that the camera isn’t what makes the images – it’s the photographer. You can see more of his work here. Viewer discretion is strongly advised. Andy Goldstein is an expert in creativity and teaching. Without a doubt, his best-known work is "Vivir en la Tierra" a series of 66 large-format photographs in which he portrays families in informal settlements in 14 Latin American countries, which happen to be very common in the continent. I had the opportunity to take a class with Andy, and through him I learned about how important it is to know the intention of a photograph before even beginning to work on it in post-production. By only adjusting the white balance, Andy was able to make all the audience feel different feelings and perceptions about a scene. He made us feel afraid, and then protected, with the same image, just by adjusting the image's temperature. Apart from this great experience, I also saw his sample of "Vivir en la Tierra", in which the grand size of the images transports the spectator to precarious and common locations throughout Latin America. Romina Ressia is the youngest of the photographers I present today, and she is an important figure in the art photography scene. Her work is characterized by portraits with an obvious Renaissance influence, very similar to the way in which Hendrik Kerstens has based his portraits on Flemish paintings. The curious thing is that Romina (like Hendrik) has juxtaposed modern and vernacular elements in her images, giving them a unique character and modern context. In her early career she was dedicated to fashion photography, and gradually she turned her eye to the fine-art world. Her works are represented by galleries in the United Kingdom, New York, Switzerland and Italy and have been exhibited in major cities including New York, Milan, United Kingdom, Zurich, Paris and Buenos Aires. We can appreciate her excellent work here. Internet and Geography has given me the fortune of connecting with amazing people with time, now I want to share with you a video made by a fellow Argentinian photographer who has been working hard to create a solid magazine that features only the best of contemporary Latin American documentary photography. Before the Claps, by Jorge Piccini.